Working on upper body strength and separation of movement today. 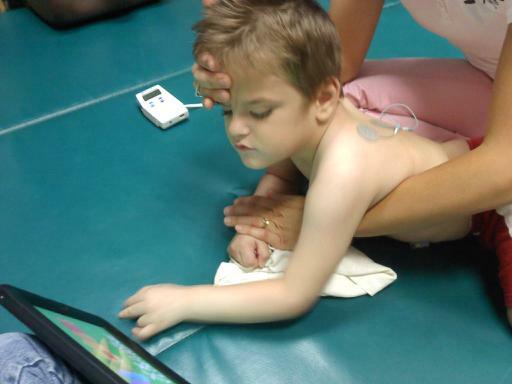 Estim is on his lats and rhomboids to help facillitate reaching for the iPad. Our new goals are combining PT, OT, and speech into the same goal of utilization of the ipad for communication. Hurricane Irene you were mean.